No doubt Facebook Is King of all social media network. Twitter is second name which come after Facebook. We all are part of this network in one or other way. As like Instagram, Facebook Also have automatic Tweet option For profile as well Brand page Posts by which you can automatically share your status, Photos, Videos and Notes on Twitter. But This feature is also underrated because of less popularity. 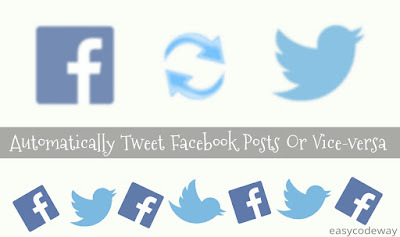 So In today's tutorial, I will guide you how to auto post Twitter tweets to Facebook or vice-versa. Lets begin now. 2. A new window will appear, choose "privacy" option from the left Sidebar menu. 3. Now a new box will appear where you will see "who can see your future posts" option. Click edit button next to it and change it to public. Till now we have prepared only basic settings. Main Works starts from here, where we will connect Twitter app with Facebook account. 1. Login to your Twitter account and go to settings. 2. In the left bar menu, choose app settings. 3. 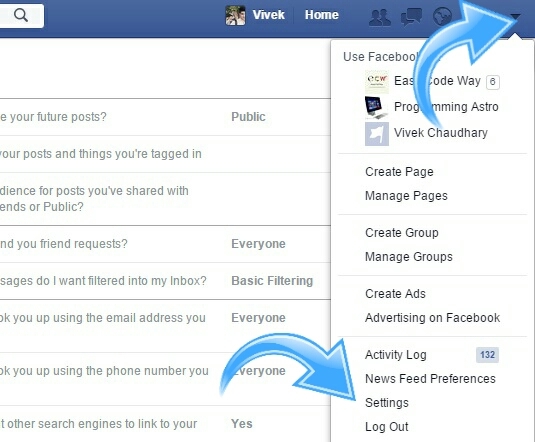 Here you will find "login to Facebook" option. Click it and you will be redirected to Facebook. 4. Allow permission by clicking OK.
4. Twitter will ask to post on your timeline. choose privacy as public or leave it as friends. now click OK again and you have done. 2. 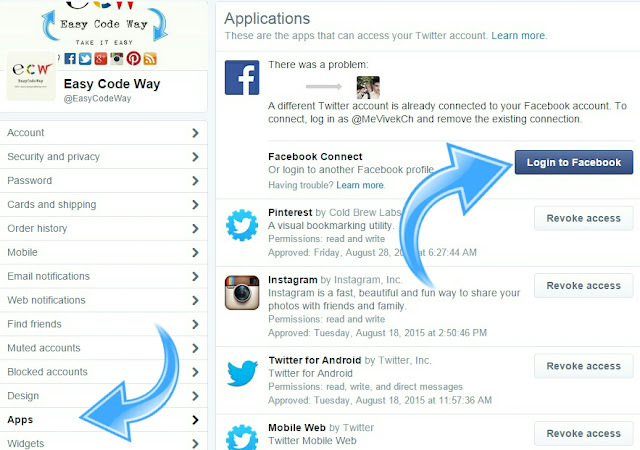 Here you will find your profile and page option. Link the one which posts you want to tweet or connect. 3. In the drop-down menu, you will find options like Videos, photos, status etc., mark the one which you find best and leave remaining as unmarked. 4. Save changes to your setting. 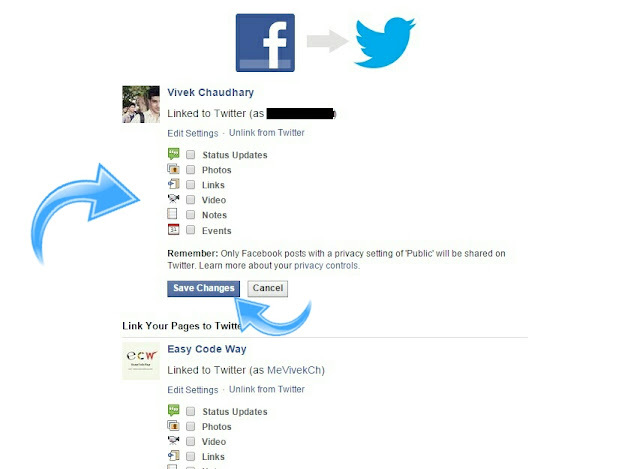 How To Auto-post Tweets On Facebook Profile/ Brand Page. Just like Facebook, twitter also allow to auto post tweets on fb account. we had already interlinked both account, so as now we only have to change few settings in order to set where to post i.e., either on your brand page or profile. 1. Again go to your twitter settings and click app. 2. 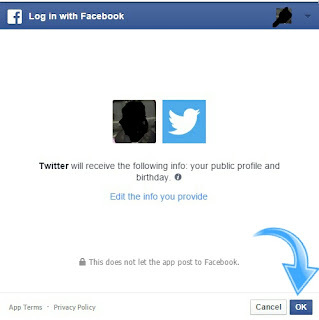 This time you will not see any "login to Facebook" option because we had already setup twitter app. Wait until your page is fully loaded. After that you will see something like in below picture. 3. Mark the options as you want and save.! 1. 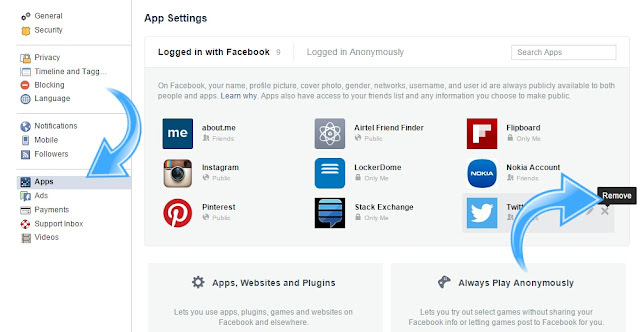 Go to Facebook settings and in the left menu bar click on apps. 2. 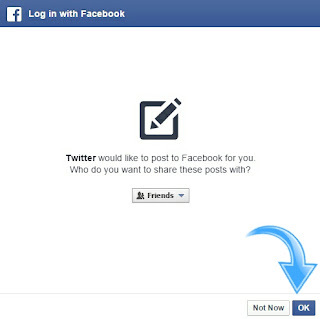 Now check "logged in with Facebook" option. Select the "Twitter" named app and remove it. What To Tweet In order to maintain Quality? In online competition, content is everything. It matter not only in SEO but has direct affect on your audience. The best way to engage your followers is to ask questions so that they can comment and re-tweet. Post High-Quality Picture with relevant description. Your Content should be simple, unique and attracting. Regularly post so that to build strong Relations with your followers. Engage with their activities and reply to their queries. Use videos for better explanation and don't spam. I have covered all points on this topic. For your knowledge, their are also online tools available for this but they may require payment options for more better functioning. So better use this official way and enjoy. If you have any questions, fell free to ask in comment box. I will try my utmost to solve your problem. what did you think about this amazing tricks ?